Hurray! I could not believe my eyes when I saw this pink package in my mail box yesterday and thank goodness I’m able to share some of these interesting products samples just before Valentine’s day.I didn’t expect to receive them so early but guess I’m in luck (giggling!). 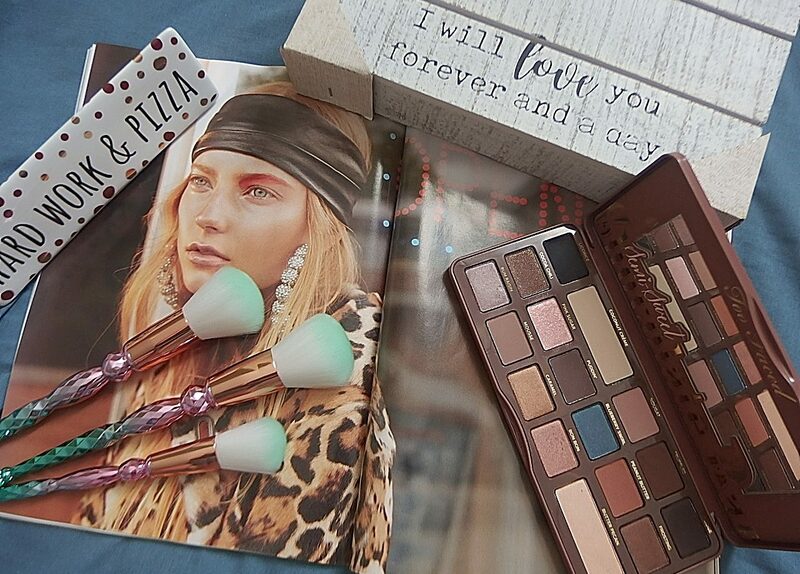 If you are not familiar, Ipsy is $10/month and sends its members a beautiful Glam Bag with deluxe samples and full-sized beauty products. I think this month’s glam bag is absolutely pretty and I know that I’m just going to enjoy wearing them tomorrow and the day after. This February’s Ipsy bag is pretty classy with diamond shapes pattern print on and I just like it. 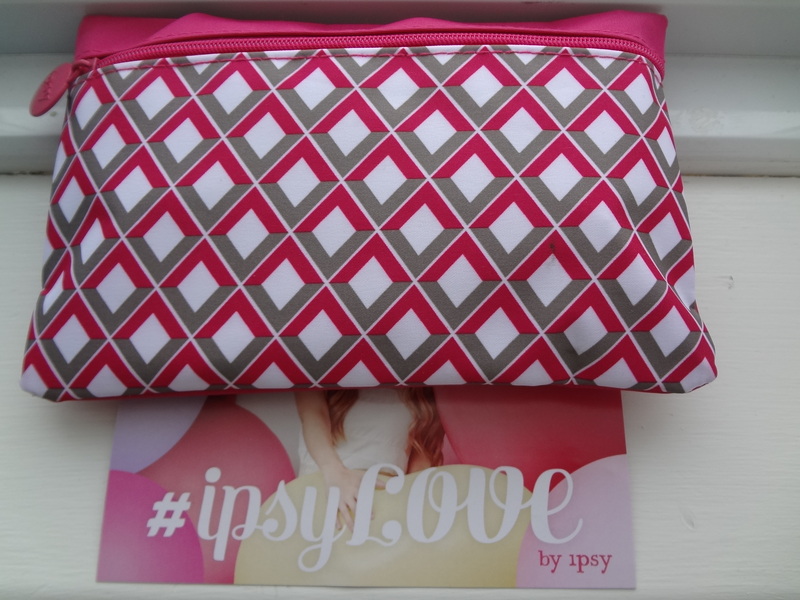 The February ipsy glam bag theme is ipsyLove. Let’s see what’s in my bag. 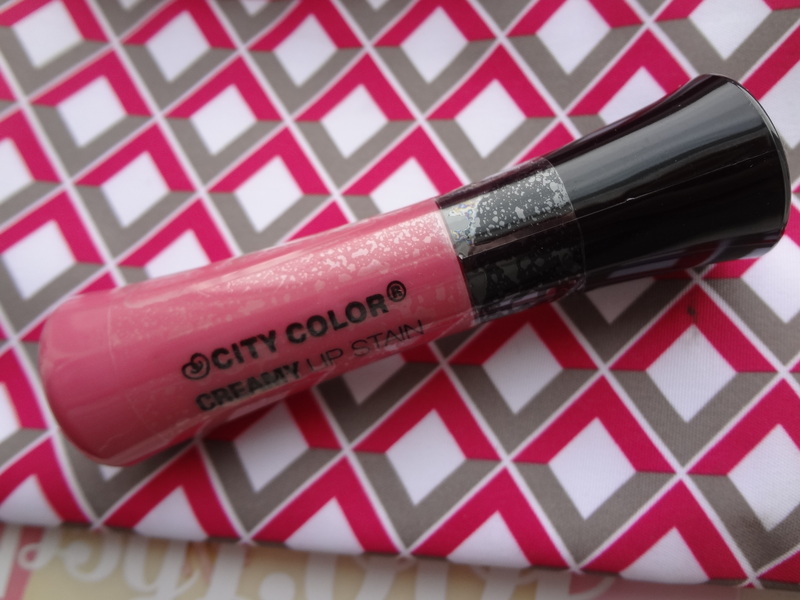 1) Creamy Lip Stain by City Color Cosmetic in Flirtini (valued for $4.99) Available in six fun and lovely color of hybrid lipstick and gloss. It also has a soft sweet scents that I like. 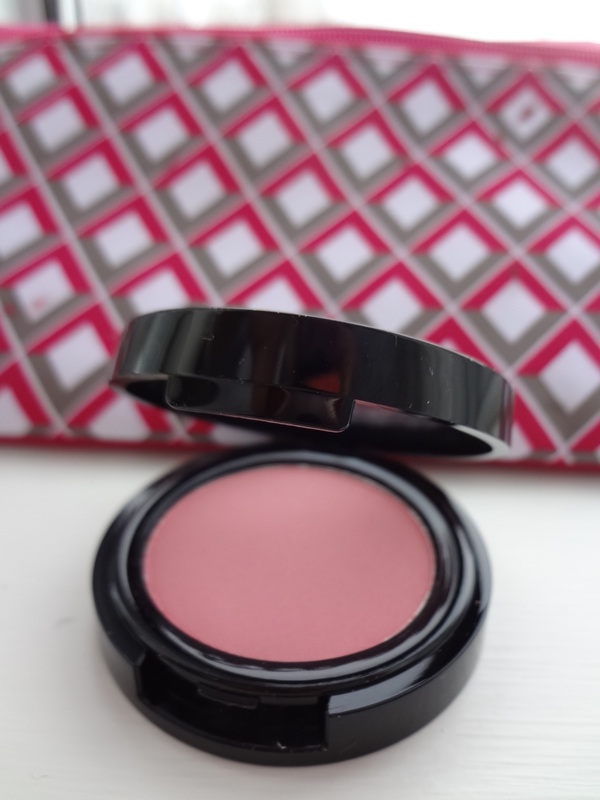 The color texture is of a soft rose pink with a nice subtle shade for you who loves rose pink lips. I’m not so sure how to describe the texture but I’ll do my best. 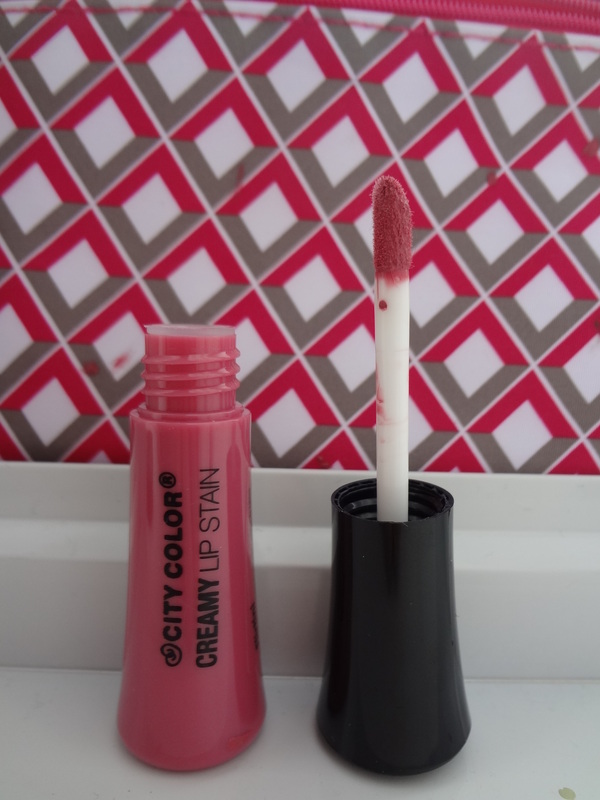 This lip stain feel very lightweight and creamy. It glides so easily and soft. The formula feels as light as a face primer but not quite. It looks a little messy as I first applied it but as it dries up, it gives a lovely pretty finish look. Once the lip stain sets, it surprised me with a matte finish lips which I really really enjoy. It sort of feathery at the beginning when I try it on. Just make sure to check your teeth just right after you apply this lip stain but once the formula sets the result is exceptional. 2) Professional EyeLash Curler by Emite Make Up (valued for $25.00) This eyelash curler has a special curl design angled to suit all eye shapes. 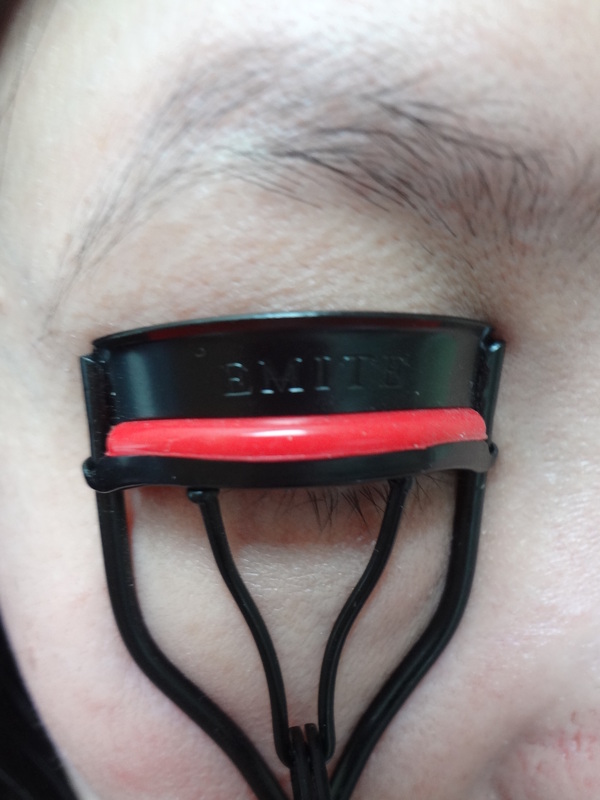 It has a red silicone rubber pad to apply a specific pressure to curl the lashes. Very nice and comfortable handles not to mention its sturdy. They even included 3 extra rubber pads as spares. I’m very impress with this big boy and was too excited to give it a try. 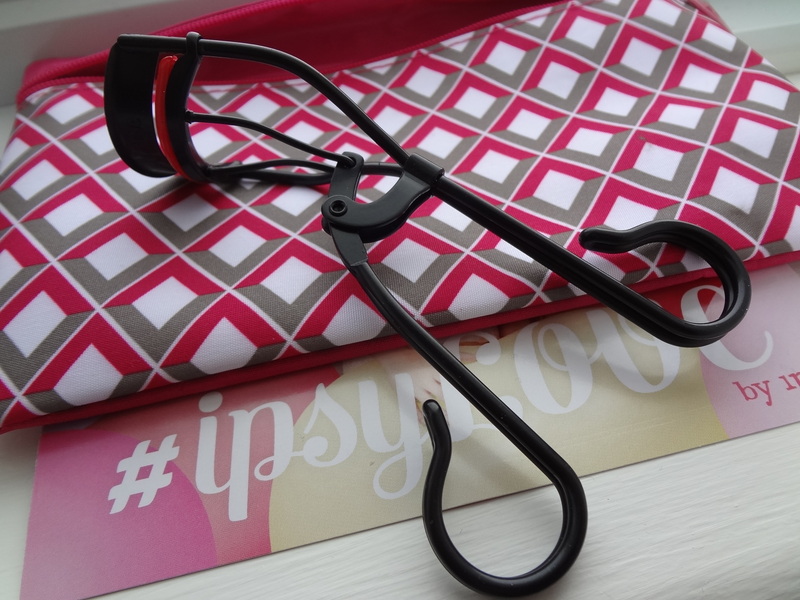 An awesome eyelash curler for everyday curling. Emite Makeup is new to me but do check them out because not only do they have beauty tools but also makeup products from Brows to lips. 3) Up All Night Volumizing Spray by Eva NYC (valued for $10.00 for 1 fl oz). 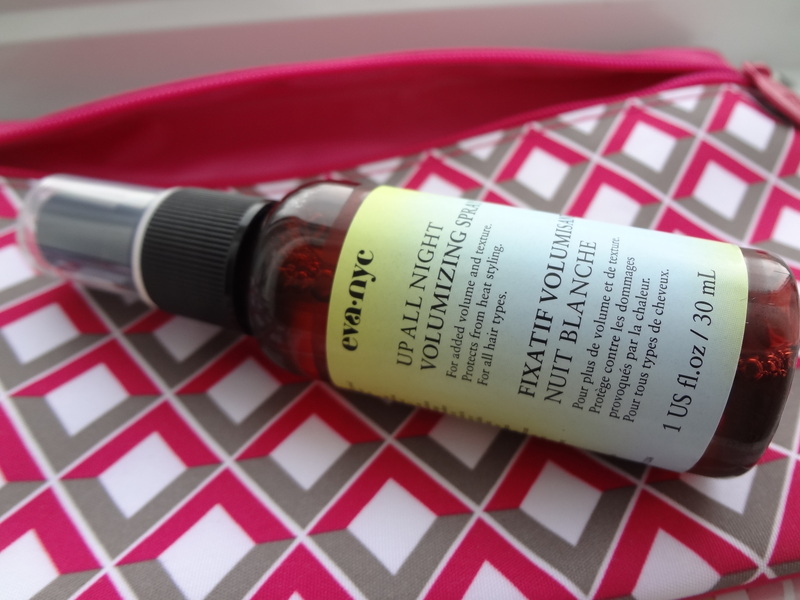 As the label reads, this Volumizing spray is here to keep your hair up all night, alright! This lightweight formula adds volume and texture to your hair. Many of you may know that I’m not so of a hair person, but for you guys I’m going to try this spray and will share my thoughts and review on my next post. Do stay tuned! 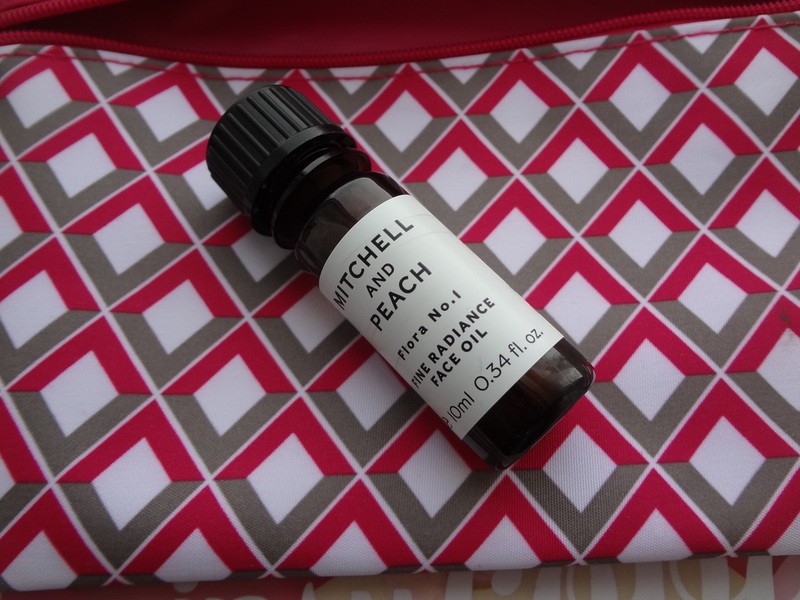 4) Fine Radiance Face Oil by Mitchell and Peach (valued for £30.00 actual size of 20 ml). Oh wow… this is an interesting product that makes me wanted to venture more on it. A face oil that has anti-oxidants and vitamins that absorbs instantly and leaving skin plumper and firmer. This statement makes me wanted to check it out at once. I applied them on my skin and first, it’s not oily and second it has an aromatherapy scents to it. My finding is that this face oil is not heavy and it absorb quickly into skin. I do not see and feel any difference right away but in a weeks time after testing, I’ll be able to write a review on this face oil. I’m intrigued by it and seeing how it’s price, I’m curious to see how this product perform. Honestly, that’s great value for a $10 subscription service! 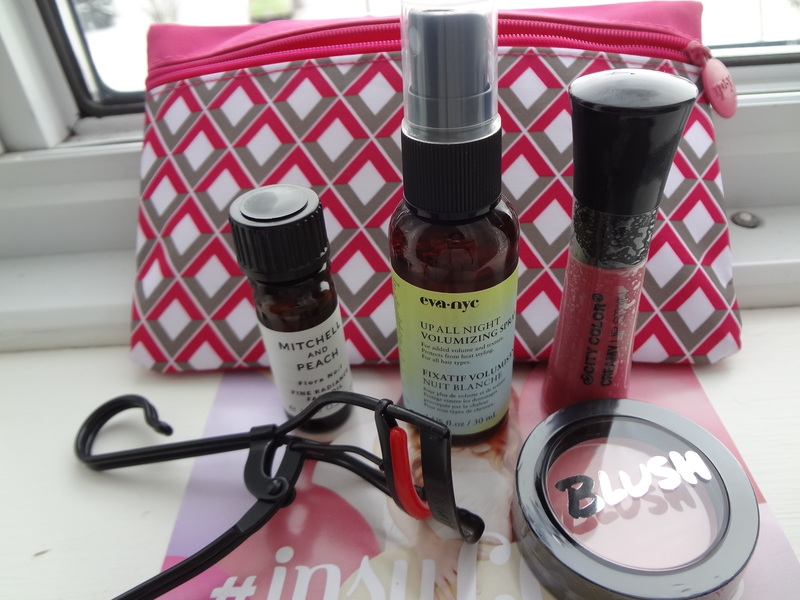 Did you get this month’s ipsy bag? What variations did you get? And what’d you think? If you are interested in subscribing or interested in learning more, click here. Next postYour Poll Is Important! Hurray!! !We are ipsy bag twins:D There is a trick I learned for eyelash curler is to blow heat the curler for 2-3 seconds and check that it’s too hot before curling them. 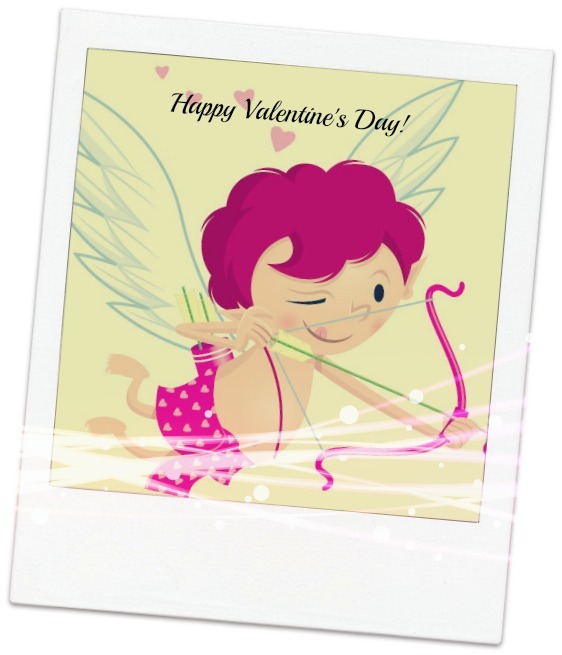 Thanks for stopping by and I have visited your blog.